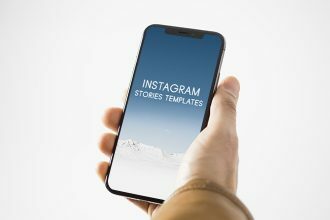 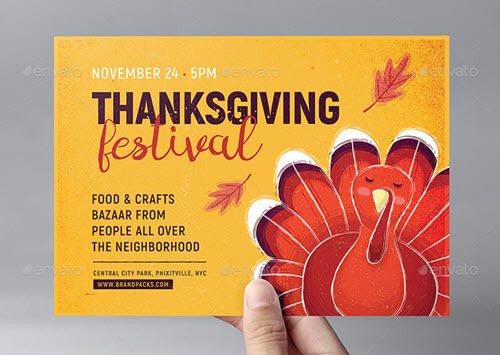 By: Nelly Vinnik posted on November 21, 2018 in Inspiration . 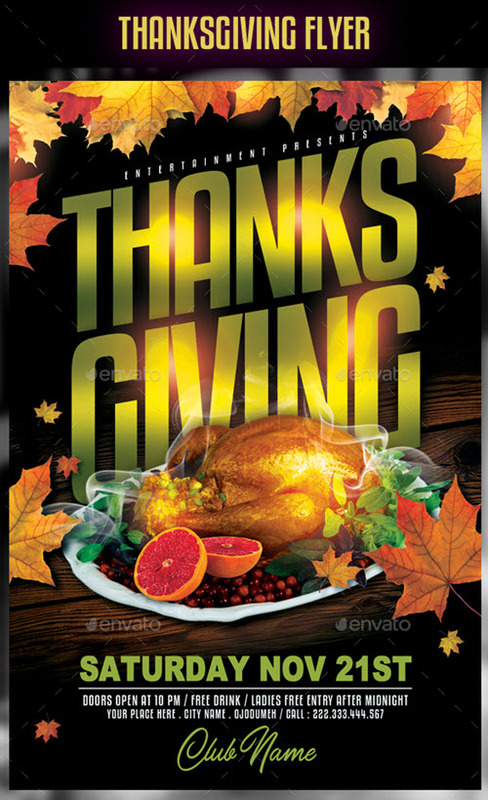 Thanksgiving is a great national and family holiday that is celebrated at the end of November. 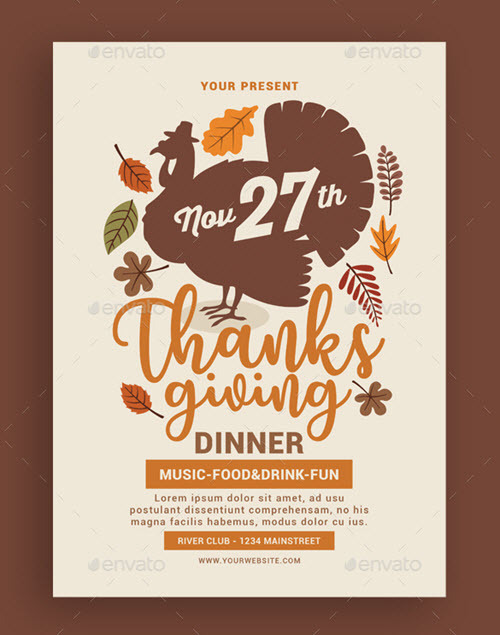 Although traditionally Thanksgiving is celebrated in the family circle around a large roasted turkey, more and more people like to celebrate this great American holiday visiting Thanksgiving dedicated party events, restaurant dinner events, Thanksgiving barbeque eventsу etc. 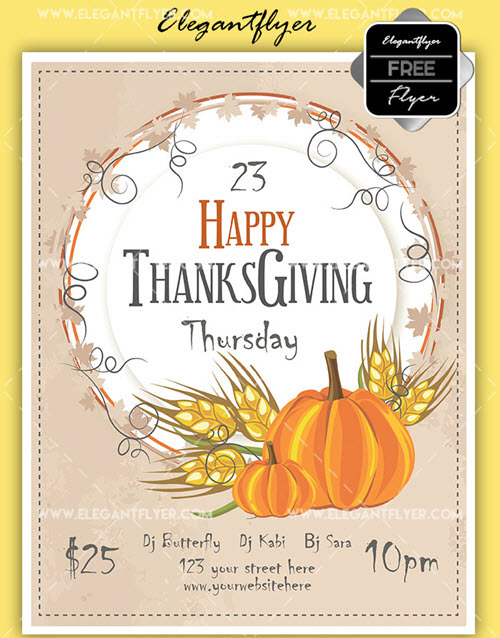 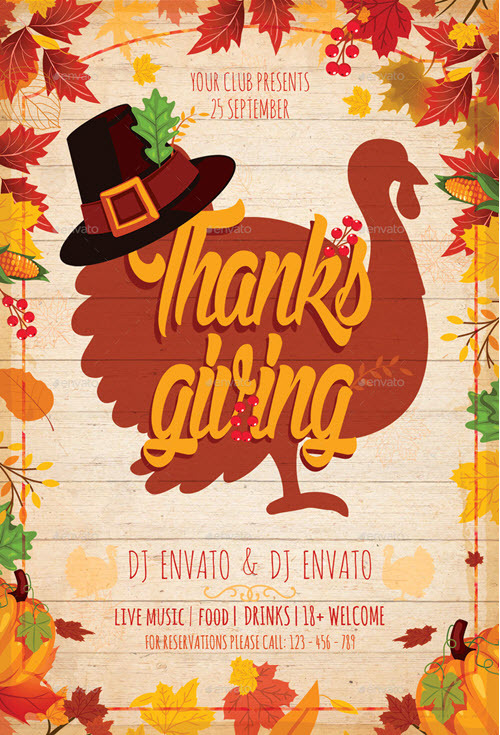 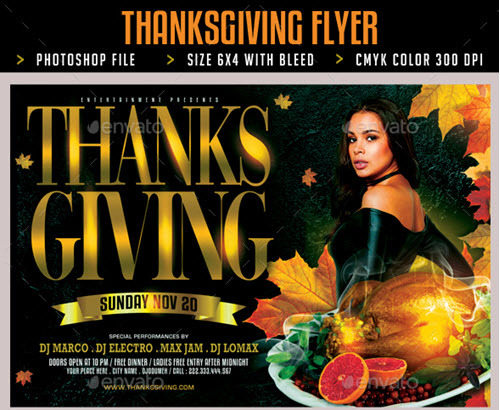 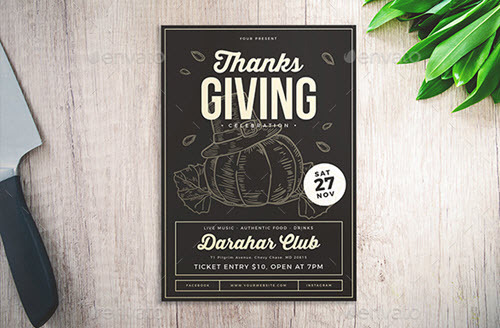 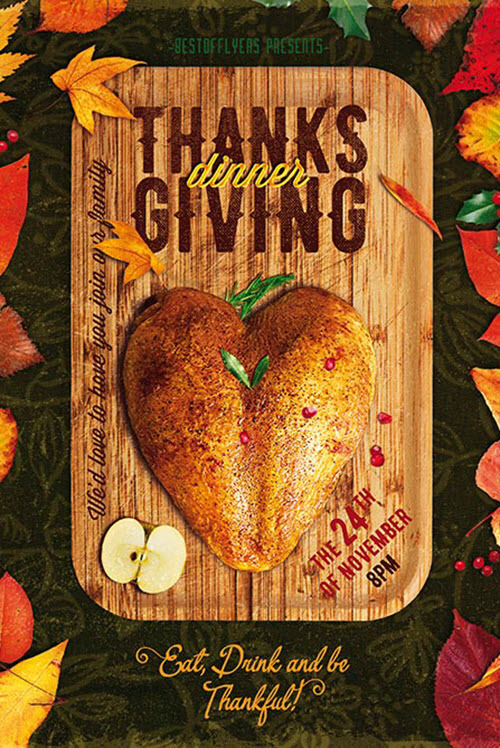 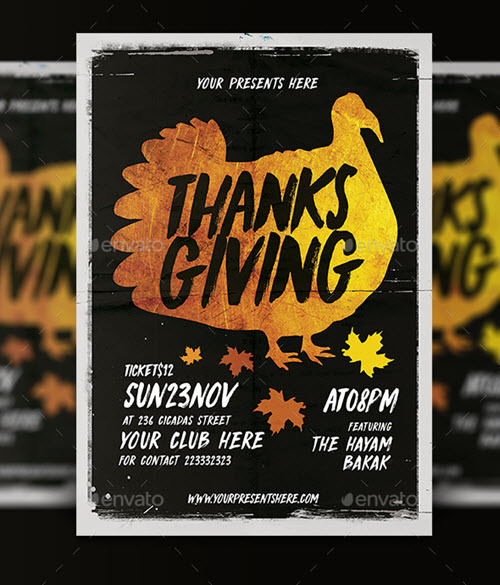 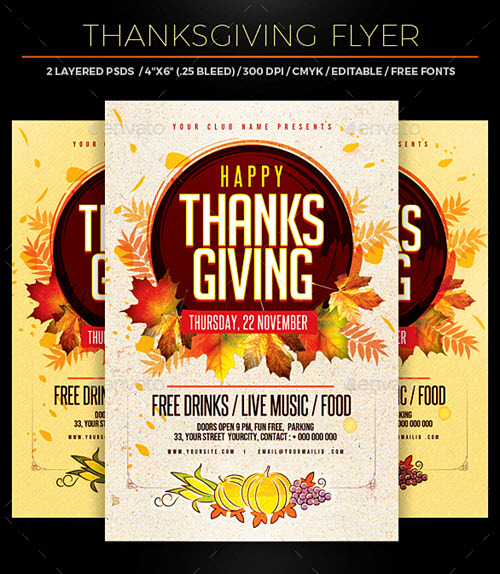 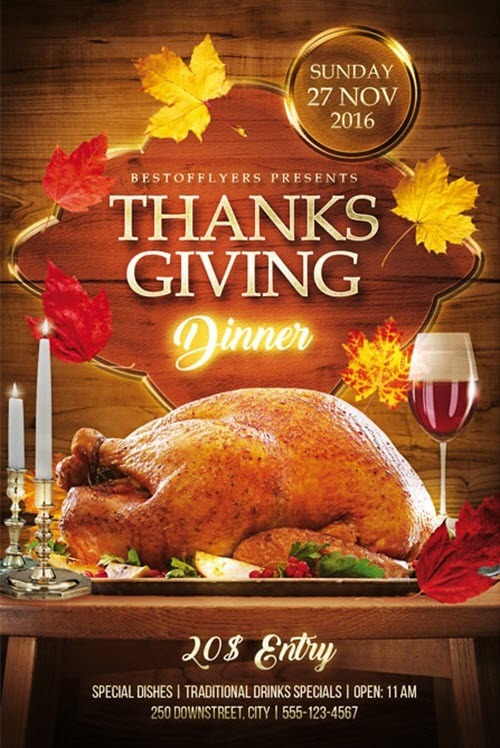 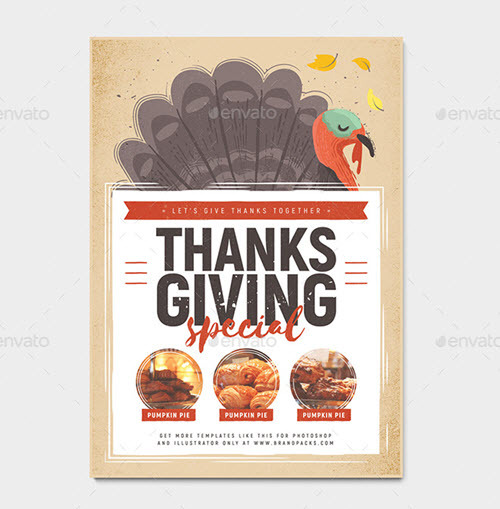 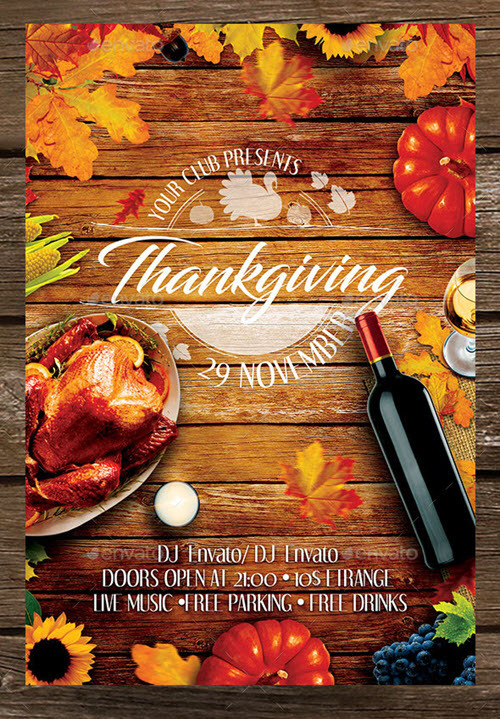 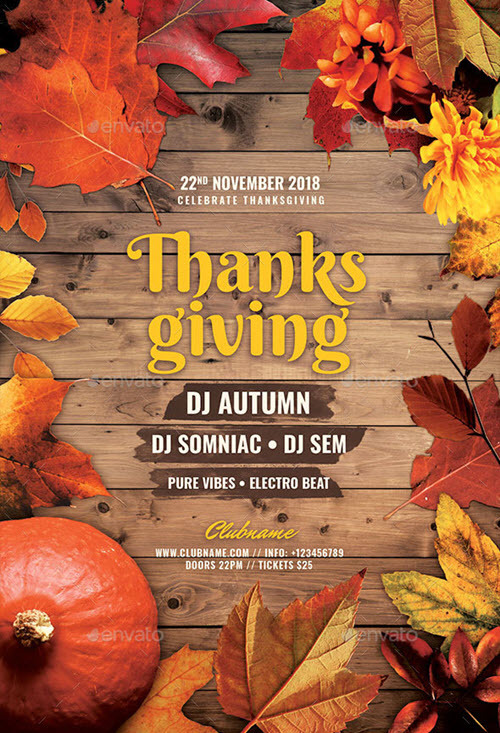 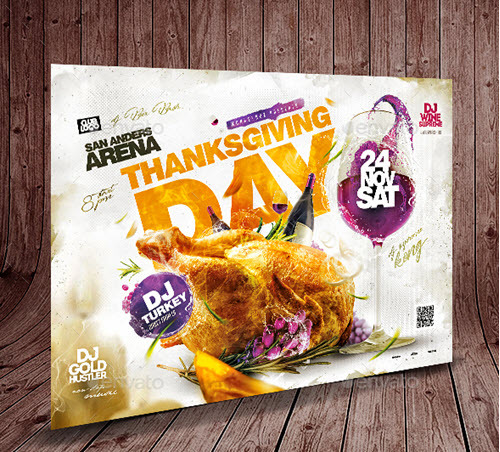 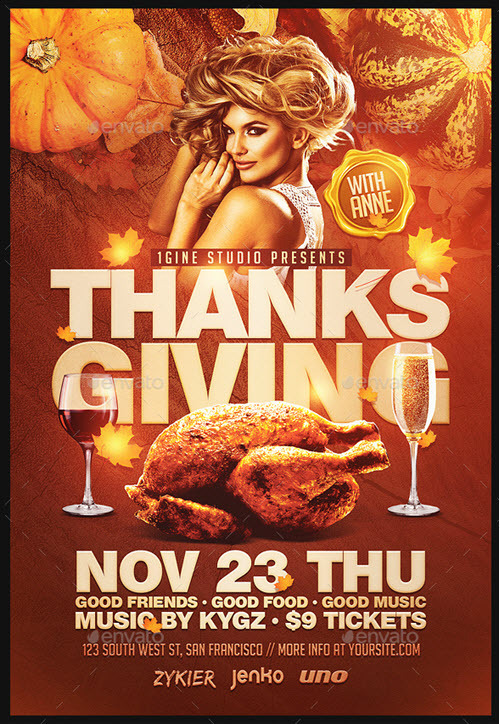 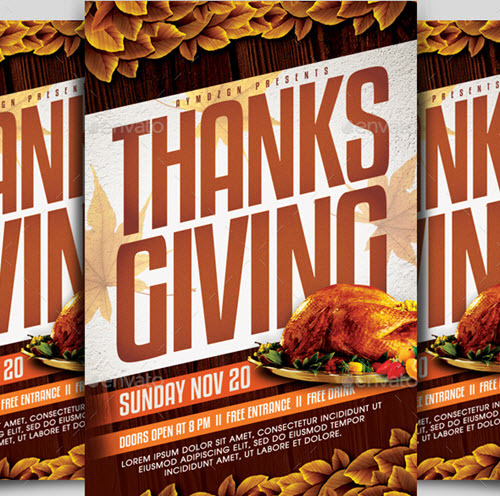 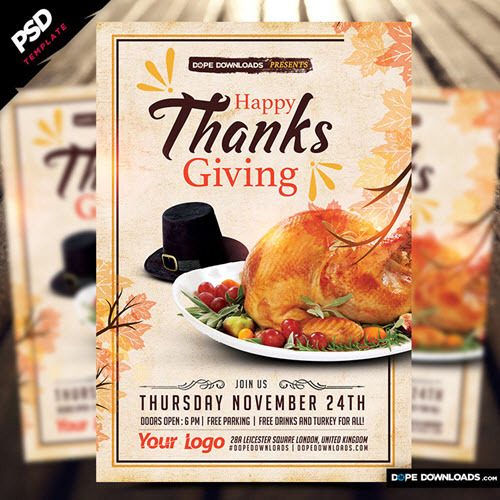 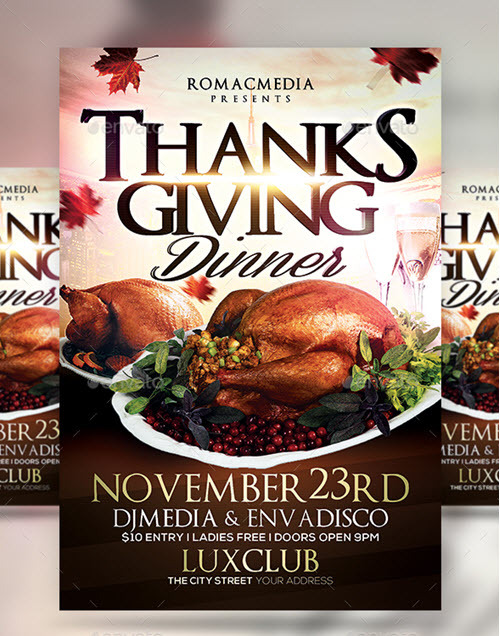 Whether you organize a Thanksgiving party or celebration event, or you are a graphic designer who is looking for quick pre-designed flyer templates which you can instantly customize to make it fit a Thanksgiving party event, we have prepared a special hot collection of 40+ premium and free Thanksgiving flyer PSD templates. 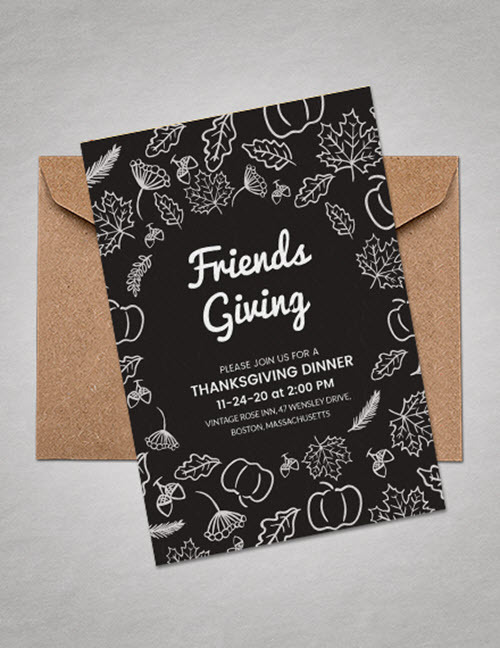 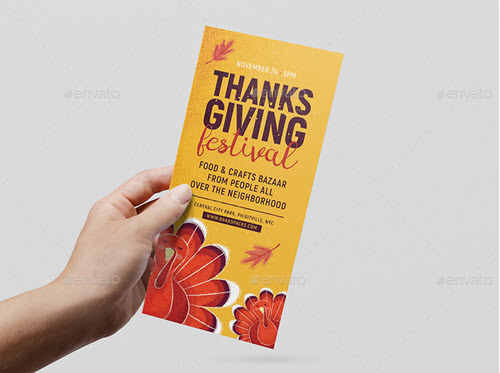 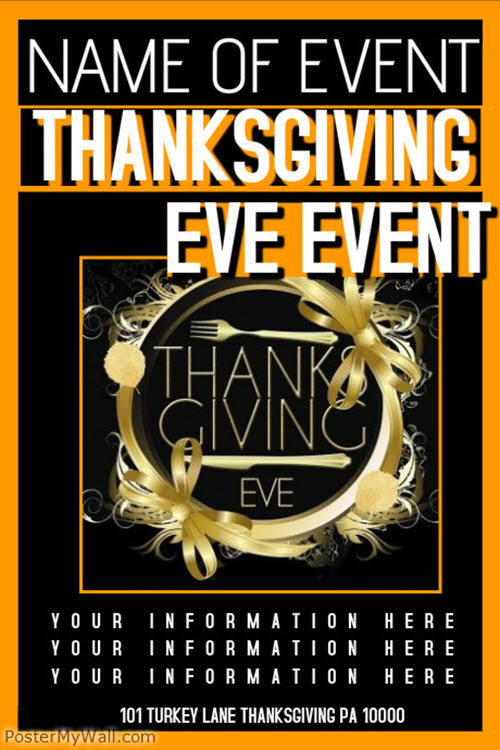 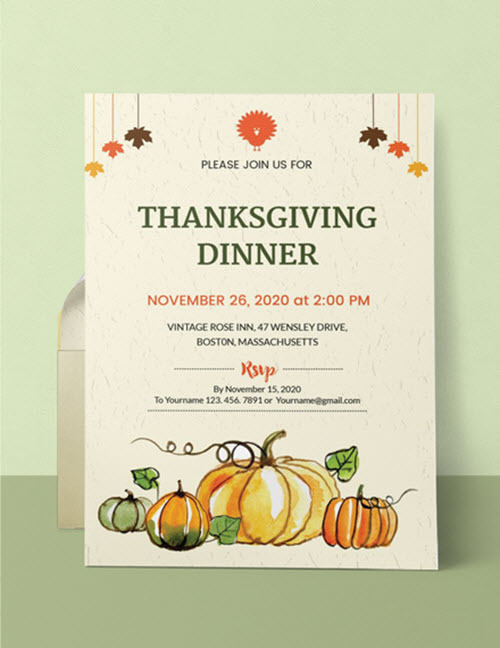 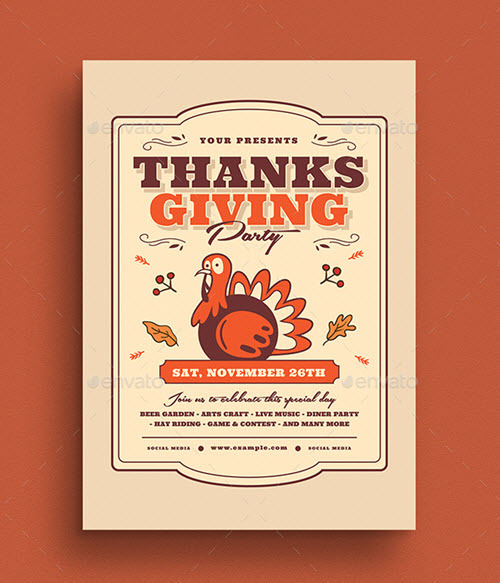 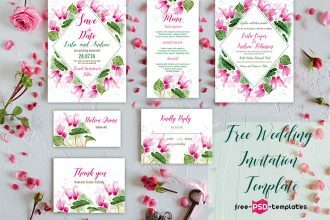 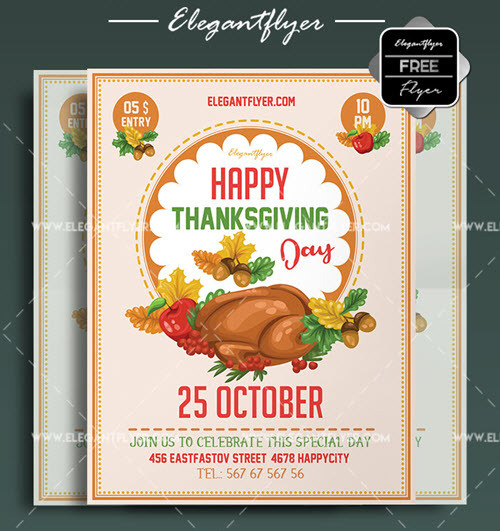 Using one of the below listed Thanksgiving free flyer templates is PSD, you can instantly create an attractive promotional leaflet for the promotion of a Thanksgiving party or dinner or BBQ event, or an invitation design for inviting friends and guests to an upcoming Thanksgiving event. 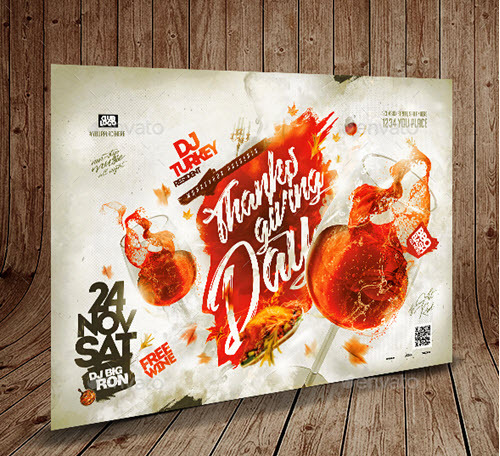 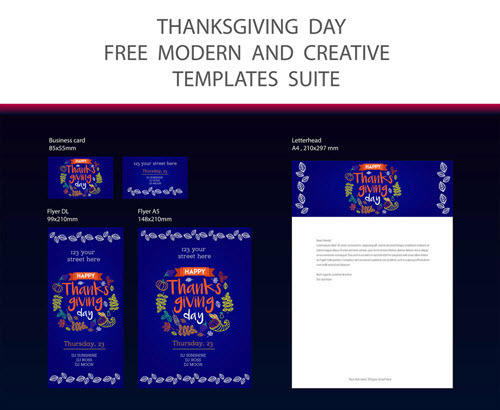 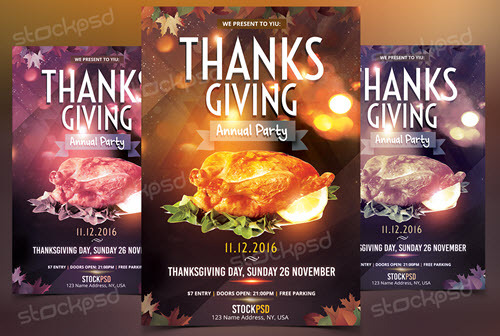 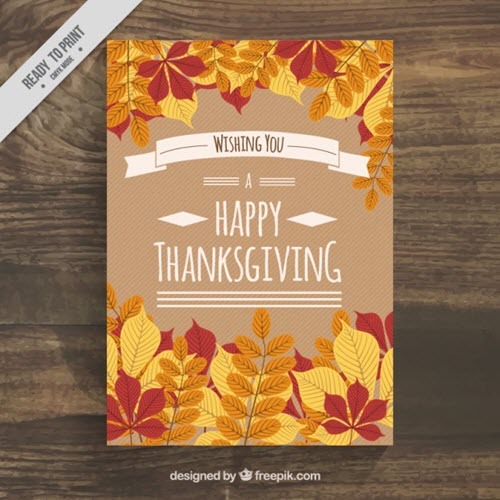 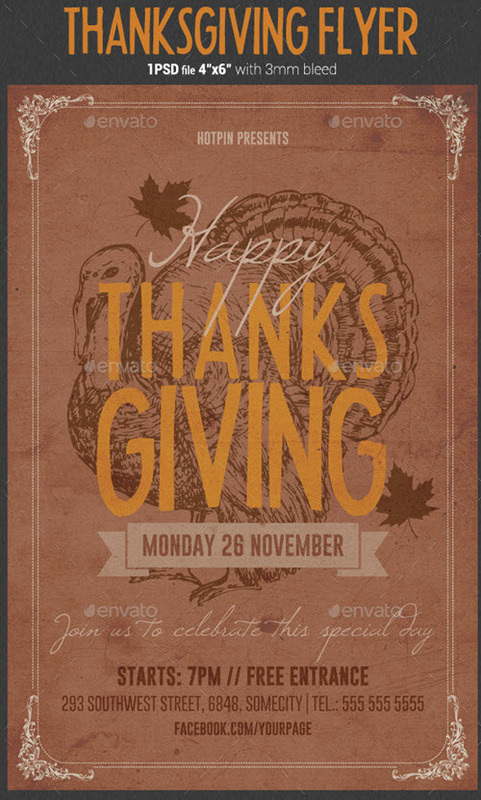 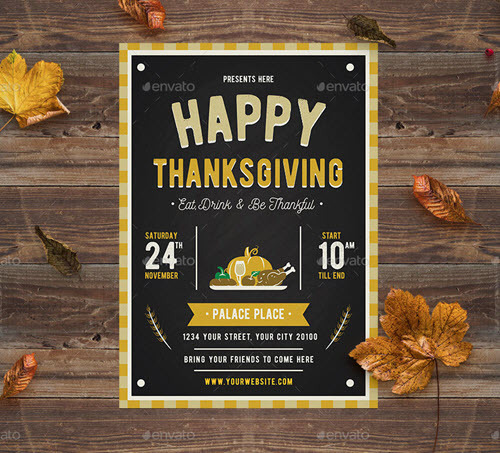 Create a wonderful festive Thanksgiving design via the customization of any of the presented free Thanksgiving or premium flyers in PSD. 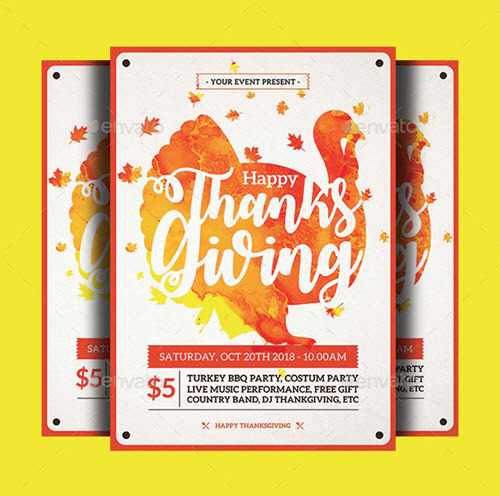 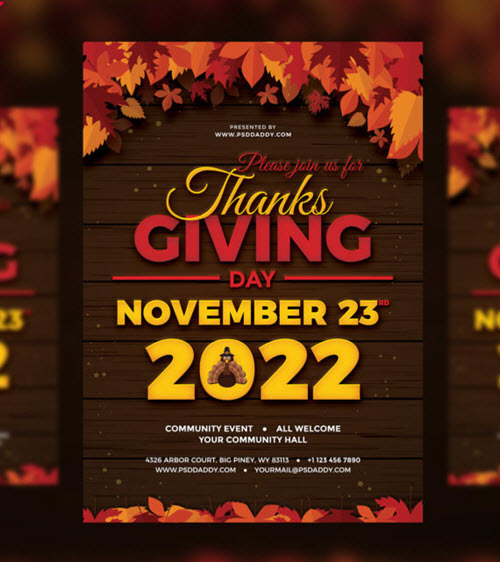 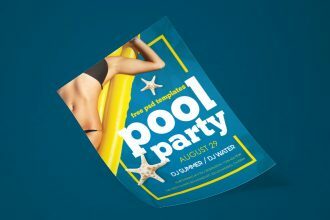 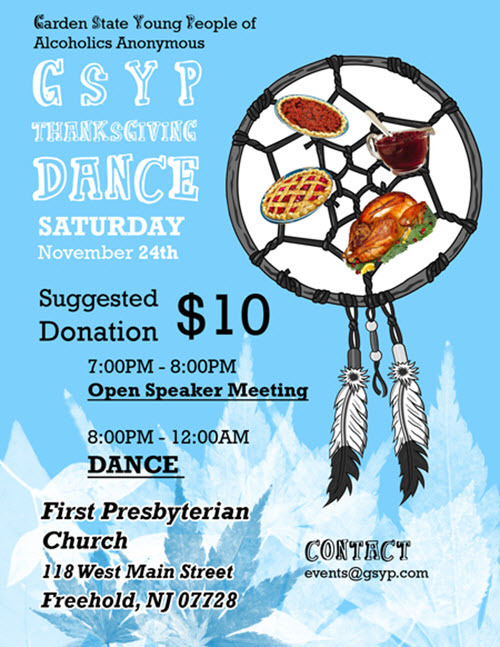 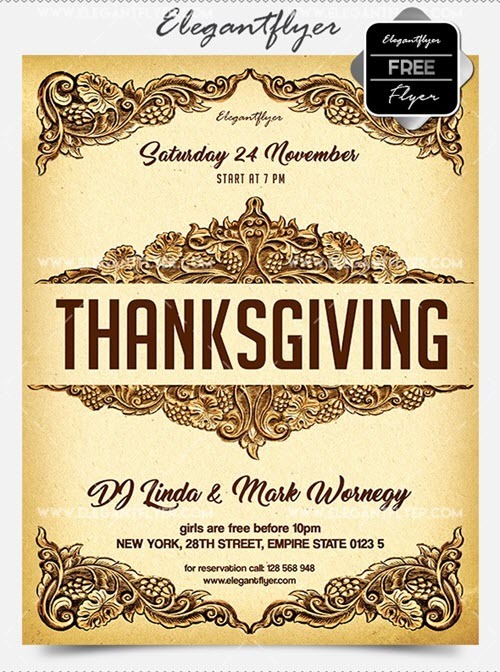 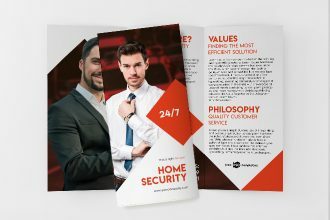 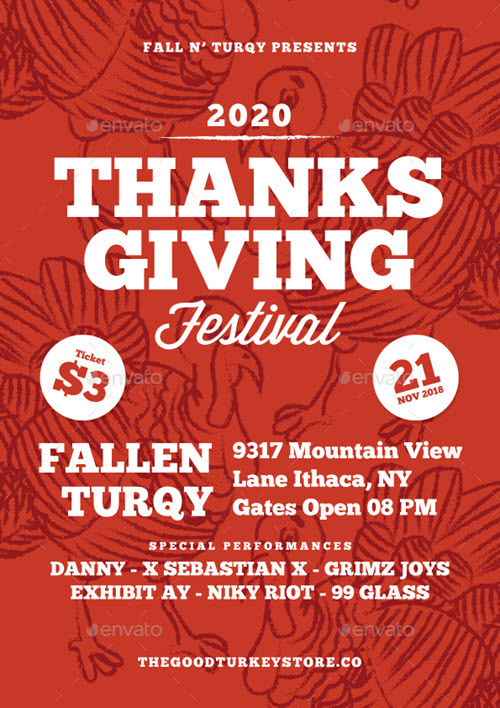 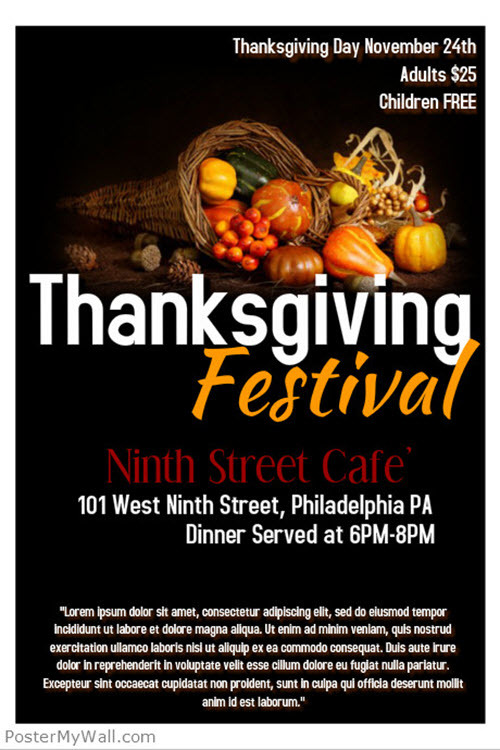 Thanks to fully layered format and smart objects each flyer template contains, you can easily remove, add or change any design element so that it fully complies with your Thanksgiving event concept and style. 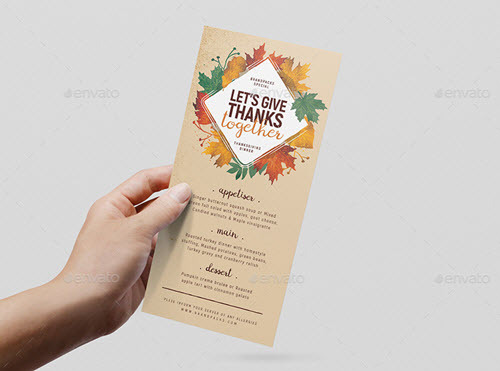 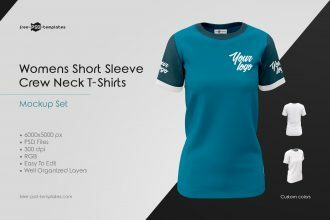 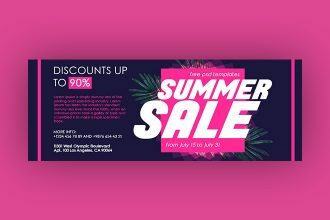 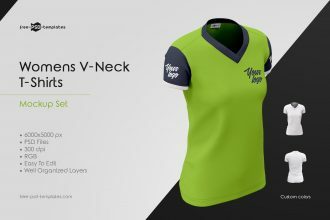 For a painless customization and quick flyer invitation design creation open and make all the changes in Photoshop: Get Photoshop as part of a Creative Cloud single-app plan for just US$19.99/mo. 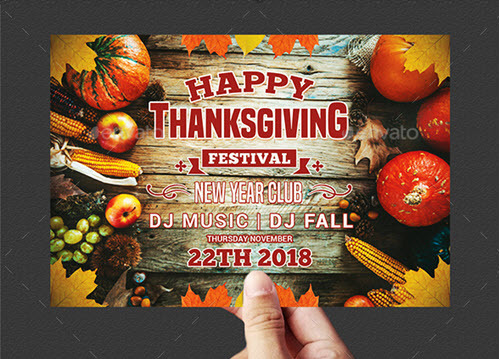 Once you finish with a Thanksgiving flyer design, you can start working on a Christmas flyer invitation design or on a Happy New Year flyer design using one of our exclusive free print PSD templates. 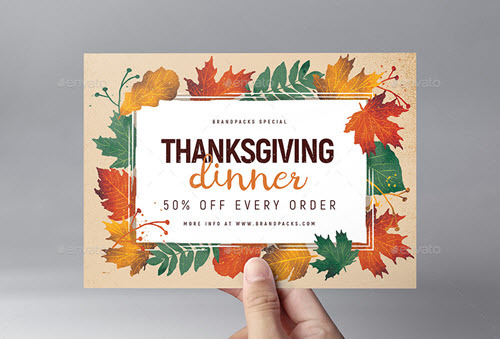 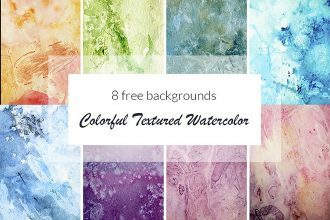 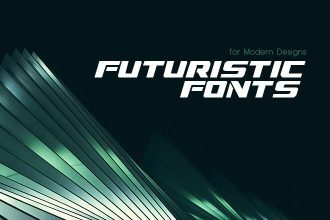 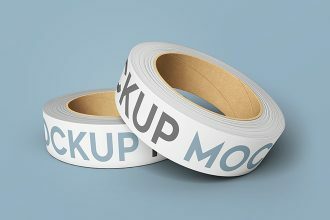 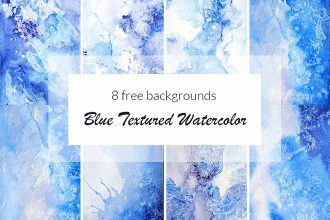 If you are working on some difficult graphic design project, you can simplify your design routine using some of the premade free graphics.